High bright legal LED head light for auto and truck 35W 4800lm 6000K for sale from qualify China Shenzhen manufacturer with cheap price, the high brightness LED chips make LVT L6 series LED headlights brighter than the majority of HID headlights and LED headlight currently on the market with a lower power consumption, the ultra thin purple copper board ensures better light beam pattern, with 12 months warranty, suits for bulldozer and other vehicle. Why not contact us and became a LED headlight products online reseller today? Are Loevet LED headlight bulbs legal on the road ? LED lights have become popular in automobile industry, its too common to see LED bulbs in brake lights, fog lights, interior lights and LED headlights. However, are these LED headlights legal on the road ? To anser this question, let’s see what are the regulations regarding headlights first. 1. Headlight beam should not be blinding for the approaching driver. 2. Headlight beam should reach to sufficient distance to make driver aware of upcoming road hazards, while driving at higher speeds. 3. Color of headlight illuminated should highlight different colored objects properly. Are Loevet’s LED headlight bulbs meet these regulations ? 1. Loevet’s LED headlight bulb use only 1mm thickness purple cooper PCB with surface mounted CSP or Flip LED chip as bulb filament, the filament size nearly same as the halogen headlight bulb. And the beam pattern is similar with original halogen headlight. Our LED headlights also adopts anti glare design, will not blinding the approaching driver. 2. Loevet LED headlight has good penetration ability among 4300-6000K, and has even farther lighting distance than halogen headlights. 3. Loevet LED headlight comes with high brightness and good color rendering index, can highlighting any objects before the road vividly. 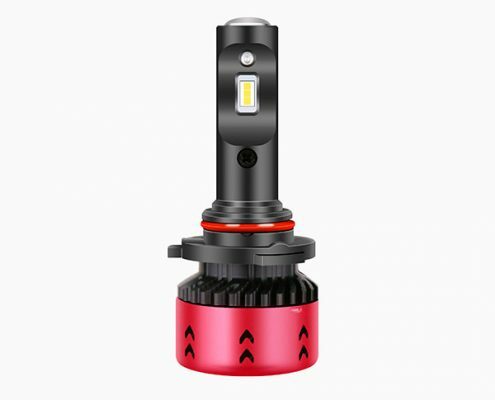 As for other manufacturer’s LED headlight, you can also judge it meet above regulations or not. However, we kindly remind user not to install colored LED headlights like green, blue or red, it is illegal. 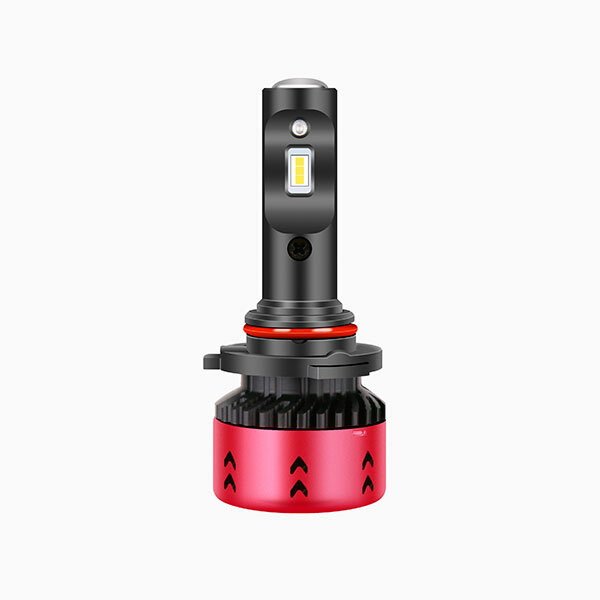 Loevet LED headlight is a more efficient type of LED lamp for car, it can produce more light output ( brightness ) with the same energy consumption of halogen headlamp. It can make driving more visible and safer.